I love knitting and needle felting, but feel pretty inept with a sewing machine. Yet I love quilts, and often make them out of paper. I’m always interested in projects that use paper for processes more usually associated with fabric and fiber. 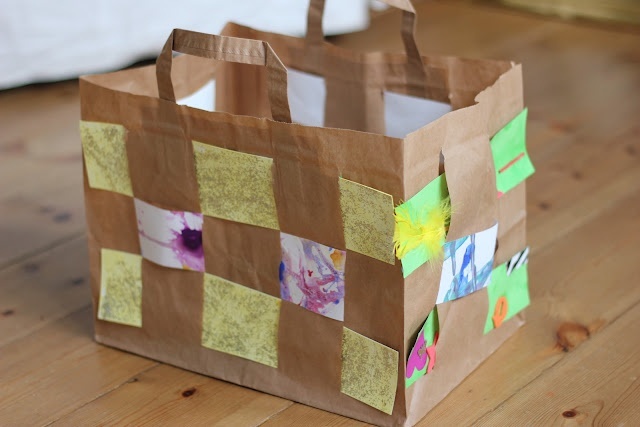 Here are a few ideas that use brown paper bags as a base for textile and fiber crafts. Quilt I made from a printed brown shopping bag and a purple shopping bag. This entry was posted in Uncategorized and tagged brown paper bags on October 9, 2014 by Helen Ellis.